Dariabad, a small village in eastern Uttar Pradesh, is an example of changing rural India. Farmers in this village are fast replacing their old farming practices with modern technologies to overcome growing water and labor constraints. In just two years, the area under zero tillage in this village has expanded from less than 1 hectare to more than 112 hectares and many farmers are now earning more using new agricultural methods. Dariabad was selected to participate in the National Food Security Mission (NFSM) in 2013-14, wherein each season farmers from selected villages receive support from the Government through the Department of Agriculture (DoA) to take up line sowing of crops and are provided seed and subsidies on machines such as the zero till seed drill. However, a lack of local know-how on zero tillage machinery operation and calibration meant farmers in the village could not take full advantage of the subsidy scheme. A single demonstration on line sown wheat under zero tillage by CSISA led to the creation of six service providers in Dariabad and an increase in area under zero tillage by more than 60 hectares in 2014. Line-sown seeds not only reduced the seed and labor requirement but also enabled mechanized weeding, better moisture control, uniform germination and better yields. 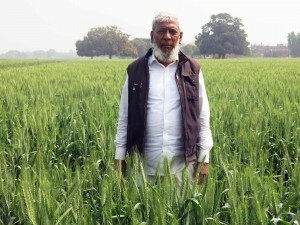 Farmer Afaq Ahmad on his zero till wheat field. Photo: Ajay Pundir/CIMMYT. In collaboration with the Block Technology Manager, CSISA organized a demonstration on zero tillage wheat. The wheat was sown on 0.71 hectares of local farmer Afaq Ahmad’s land by Siraj Khan, a service provider from neighboring Karma Khan Village. “When the Block Technology Manager told me about the scheme, I agreed to try the zero tillage machine on a small plot first. I was willing to try it out because I’d heard Khan had a good yield the previous year,” says Ahmad. 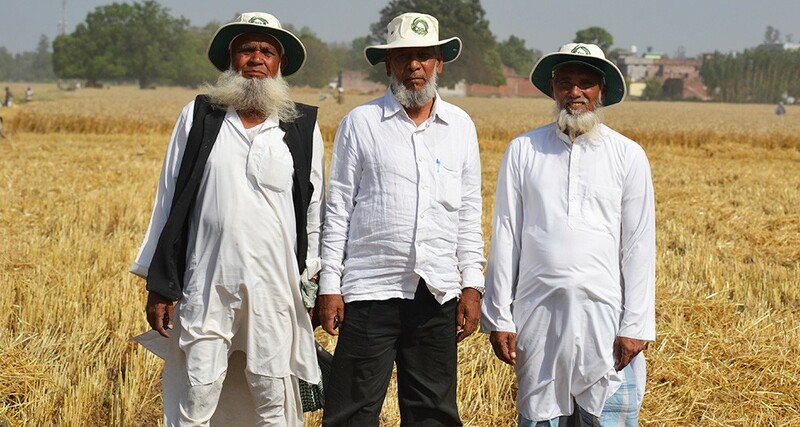 Pleased with his improved yield of 4 tons per hectare, Ahmad purchased his own zero tillage machine the following season and used it to plant 6 hectares of direct seeded rice. He also offered it as a service to other farmers. Ahmad earned US$ 5,263 from farming and an additional US$ 752 from offering zero tillage service to other farmers. The same year, seeing Ahmad’s success, demand for zero tillage in the village became so high that six other farmers also purchased the machine for service provision. As Khan points out, “Every farmer cannot afford every machine. If a service provider is available at the village level, they too can benefit by availing his services on custom hiring basis.” This year, 15 farmers in Dariabad recorded an average wheat yield of 4.6 tons per hectare and even the most humble of the seven service providers has been able to supplement their farming income by an additional US$ 300. This article is authored by Ajay Pundir, Scientist, CIMMYT and Ashwamegh Banerjee, Assistant Communications Specialist, CIMMYT.